Eine sehr simple Karte mit neuer Stanze und neuem Text. Love them all, but the CAS design at the top is a favorite ... where'd you get the cool die cut? FAB cards again Christine - love them all!!! Clean, simple and fabulous! Love the hexagons. Thanks for playing along with the Travel/Citiscapes challenge over at the Simon Says Challenge Blog this week! Love that travel card!! 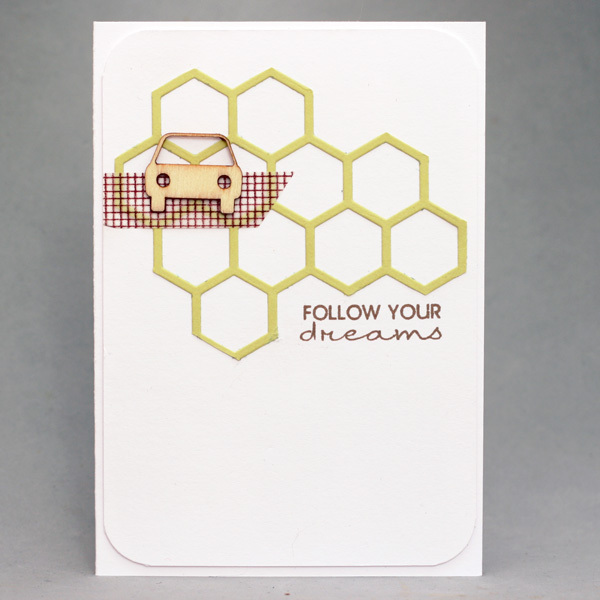 Hexagons are my favorite and that little wooden car is adorable! 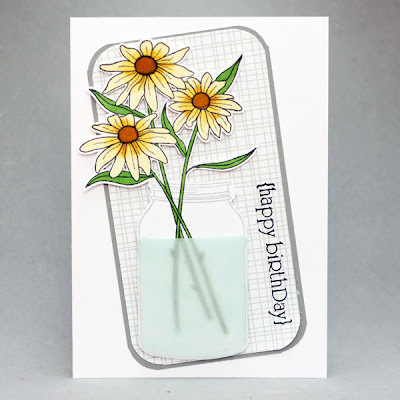 A really fun use of those hexagons! Thanks so much for playing along with us at CAS(E) This Sketch this week! Such a cool and funky take on the sketch! I love the wooden car and the washi tape. Thanks for playing along with CAS(E) This Sketch this week! What a fun take on the sketch- I love the use if the hexagons! Thanks for playing along with us at CAS(E) this Sketch!